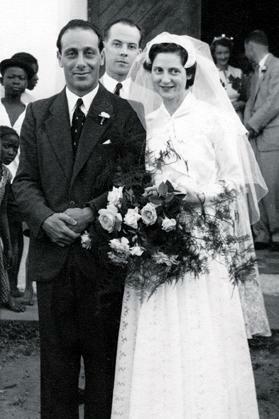 Professor and Mrs Gilles on their wedding day, February 2, 1955. On October 20, Malta lost a treasured son. Although not a Maltese citizen, Professor Herbert Gilles, a world renowned malariologist and specialist in tropical diseases, was a product of Maltese culture and education and a dedicated doctor who never forgot his origins nor his adopted country and friends in Malta. This article attempts to give an account of his early association with Malta and provides an imperfect picture of his prolific professional achievements. Prof. Gilles’ accomplishments were no doubt derived from his intellectual abilities; however his success in life was a product of his character: his absence of pretention, his approachability and his profound humility. 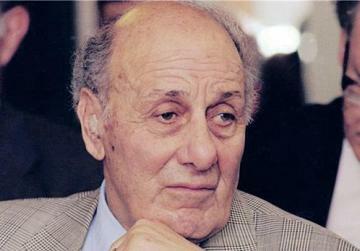 Herbert Michael Gilles was born in Port Said, Egypt, on September 10, 1921, to Joseph and Clementa Galea. His father ran a chandlery business supplying ships that travelled along the Suez Canal. 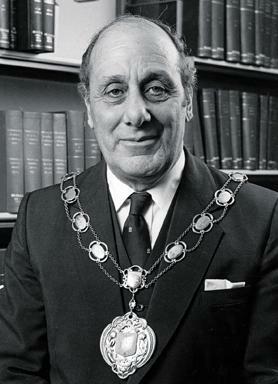 Galea was advised early in his career that he would not get along in business if he persisted in using his Maltese name so he anglicised it to Gilles. Herbert Gilles received a French-based education in Port Said, and when he reached the age of 11 his father, again aware of the opportunities offered by the extensive network of the British Empire, offered his son the choice of persisting with his French education or opting for an English-styled education instead. Herbert chose the latter; however his proficiency in French served him well throughout his life. The family was by no means affluent and his choice presented the family with some difficult options. The best English language schools in Cairo and Alexandria cost £12 per month whereas the newly opened St Edward’s College in Malta charged just £60 per year. The decision was made to send young Herbert to school in Malta as long as he agreed to remain on the island over the Christmas and Easter vacations, returning to Egypt only for the long summer holidays when, as he claimed, he could be spoiled by his parents. So Gilles was registered as a boarder at St Edward’s College and during the short holidays in Malta, stayed with a family friend, Mrs Izzo. Prof. Herbert Gilles, dean of the Liverpool School of Tropical Medicine. Gilles spent a miserable first year at his new school due to the fact that his English was poor and his education in Egypt had been quite mediocre. However, his natural intelligence meant he soon made up for lost time and in his second year was able take the first prize in English in Form I, for which he was awarded, appropriately enough The Boys’ All-Round Book. It was at this time that the first connections between Gilles and my family were established. Leslie Grech, my father, was a classmate of Gilles’ and he (Grech) was not too pleased when the newcomer’s academic performance relegated him to second place in class. This was not to be the last time the two classmates sparred amicably. To add insult to injury, Grech’s grandmother, Teresina Levy Grech, was a great supporter of the college and hosted frequent student outings to her family’s home, Villa Grech Mifsud, where Gilles enjoyed her hospitality and remembered devouring salmon paste sandwiches. Success must have tasted sweet, metaphorically if not literally. My father would always claim that he and Gilles alternated in terms of academic placement in class; however, a review of St Edward’s College magazines reveals that Gilles won an impressive 20 prizes between 1933 and 1938. It was an obvious early indication of his future academic accomplishments. Gilles’ academic success as well as his sporting abilities (an interest that he maintained throughout his life) meant that he gained the respect of his teachers and contemporaries as well as their families. He found that he had become quite popular and enjoyed the many invitations that followed. His popularity must have suited his naturally gregarious nature and provided some consolation for his absence from his family. After completing his studies at St Edward’s College, Gilles enrolled in the medical course at the Royal University of Malta in Valletta. His studies coincided with the outbreak of World War II. Gilles served as an officer/cadet in the Royal Malta Artillery from 1940 to 1944, and particularly during the Siege of Malta, when he manned one of the anti-aircraft batteries. When Gilles started his studies at University he was living with the Sullivan family, who were known to his father through their mutual interests in the shipping business. At this time, the Sullivans occupied a property in the Grand Harbour area. Although this was conveniently close to the University it presented the obvious hazards associated with living in such a vulnerable area. At University, Gilles was a contemporary of my maternal uncle George Xuereb, later professor of pathology and rector of the University. The two scholars became good friends, and Gilles would spend weekends with the Xuerebs at 117 St Paul Street, Valletta, chosen for its proximity to the University since Xuereb’s father, Prof. Peter Xuereb, was at the time professor of medicine. Prof. Gilles receiving the insignia of Companion of the Order of St Michael and St George from Queen Elizabeth II, 2005. One Sunday, as the weekend wound to a close, Gilles had packed his bag and was bidding his goodbyes to the family when Prof. Xuereb, realising the Sullivan house had suffered a direct hit and was completely demolished, instructed Gilles to unpack his bag immediately because he would now be living with them. Thus started a close friendship between the Gilles, Xuereb and Grech families. Over the next few months and years, while Gilles lived with the Xuerebs he was virtually adopted as a son, and he himself appreciated and reciprocated their generosity both then and in the decades to come. In addition to George and Charles, also a medical student, the Xuerebs had two daughters, Laura and Mafine. Herbert, sociable by nature, enjoyed the company of the Xuerebs and brought a certain wordliness and vivacity to an otherwise staid household. Being a keen sportsman he indulged in soccer, swimming and tennis, and introduced the Xuerebs to the idea of physical exertion for pleasure, a concept they were probably unfamiliar with. Gilles was also responsible for introducing the family to cinematic entertainment, which must certainly have been viewed initially with some scepticism but which was eventually enjoyed by all. Gilles enjoyed his time with the family, and Prof. and Mrs Xuereb in turn assumed varying degrees of parental responsibility. Mrs Xuereb was a keen piano player, and judging by her practice in later years, no doubt dispensed her customary perceptive advice in between bars of her beloved Chopin. Prof. Xuereb operated in a more direct manner. Bearing in mind his responsibility for the whole of his household he insisted that Gilles study at a desk beside his so that he could keep an eye on his charge and make up for any distractions by rehearsing the next day’s lectures to his singular audience. With such dedicated attention Gilles could claim little excuse for poor performance in his studies. He did not disappoint. Gilles gained his BSc. from the Royal University of Malta in 1943, and in the same year was awarded a Rhodes Scholarship to the University of Oxford; however, due to the ongoing hostilities no scholars from Malta were able to take up their scholarships. In 1946, Gilles gained his MD, also from Malta. Eventually, in 1948, Gilles, together with the other Rhodes Scholars from Malta, among whom were Edwin Borg Costanzi and George Xuereb, travelled to England to start their scholarships. Gilles gained his MSc. from the University of Oxford in 1951 and his Fellowship of the Royal College of Physicians in 1969. In 1950, Gilles gained his Diploma in Tropical Medicine and Hygiene (DTM&H), which was the springboard for his career in this specialisation. He first worked in west Africa, starting in the Gambia as a member of the scientific staff at the Medical Research Council Laboratories from 1954 to 1958. In 1958, he was appointed lecturer-at-large in tropical diseases by the Liverpool School of Tropical Medicine on secondment to the University of Ibadan, Nigeria. From 1963 to 1965 he progressed to professor of preventative and social medicine at the University of Ibadan. For three years from 1963 to 1965 he held a position as visiting professor of tropical medicine at the University of Lagos College of Medicine, Nigeria, which meant that he spent three months a year in that country. In 1965, Gilles was appointed senior lecturer in tropical medicine at the University of Liverpool, where from 1970 to 1972 he was granted a prestigious personal chair as professor of tropical medicine. From 1972 to 1986, Gilles held the appointment of Alfred Jones and Warrington Yorke professor of tropical medicine as head of department at the University of Liverpool. He served as dean to the Liverpool School of Tropical Medicine (affiliated to the University of Liverpool) from 1978 to 1983 and was appointed emeritus professor after his retirement in 1986. Over his long career, Gilles contributed significantly to his field, publishing over 150 papers in scientific journals besides writing a number of books on tropical medicine and malariology, many of which are still in print. It was characteristic of his sense of duty that Gilles kept up a hectic schedule long after retirement: travelling tens of thousands of miles a year to deliver lectures, attend conferences and examine students. He was examiner for MD, DTM&H, MSc or doctoral degrees to 18 institutions. Gilles also held a number of prestigious appointments at professional institutions, such as vice-president of the Liverpool School of Tropical Medicine; vice-president of the International Federation of Tropical Medicine and president of the Royal Society of Tropical Medicine and Hygiene. Among his academic awards and distinctions were the World Health Organisation Darling Foundation Medal and Prize (1990), Mary Kingsley Medal, Liverpool School of Tropical Medicine (1994), honorary fellow, Royal Society of Tropical Medicine and Hygiene (1997), honorary member, Swedish Society of Tropical Medicine (1998), honorary member, Italian Society of Tropical Medicine (1999), Royal Society of Tropical Medicine and Hygiene Manson Medal (2007). In 1979, Gilles was awarded an honorary MD from the prestigious Karolinska Institutet of Stockholm. Although not given to ostentation he wore the gold ring granted with this degree with justifiable pride. 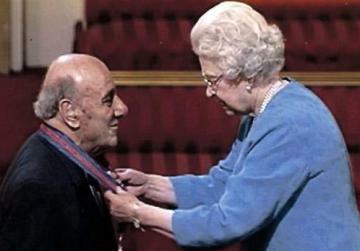 In 1984, he was recognised with an honorary DSc from the University of Malta. In 1988, Gilles responded with characteristic enthusiasm to the call of his alma mater to help in the strengthening of the Malta Medical School, and for many years travelled to Malta three times a year as a visiting professor, on an honorary basis, to run a Public Health and Infectious Disease programme at the school. In 2005, Gilles was made a Companion of the Most Distinguished Order of St Michael and St George in the Queen’s Birthday honours list for services to tropical medicine. Two years earlier he had received Malta’s National Order of Merit for his distinguished work in this field, and in 2006 he was made a Knight of Malta (KSJ) in recognition of his medical work in the tropics. In 2008 he was appointed Companion of the Most Exalted Order of the White Elephant by the King of Thailand for his involvement with the faculty of tropical medicine at Mahidol University in Bangkok. 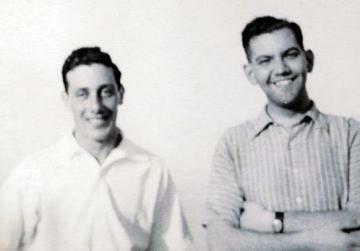 Herbert Gilles and George Xuereb when they were medical students. I was fortunate to experience Gilles’ modesty and friendship for myself when, at the age of 11, my parents decided that my brother, David, and I should attend Stonyhurst Jesuit College in Lancashire, UK, just an hour’s drive from the Gilles’ home in Birkdale, Southport. In an uncanny way the tables had now turned: Professor and Mrs Gilles would act as our guardians, in loco parentis, as we embarked on an education abroad. It seemed as though a debt of gratitude was being repaid not through any sense of duty but through a spirit of generosity that was so typical of Gilles. Not only did he and his family make their home our home also for the weekends but three times a term, on exeats as students at Stonyhurst, Gilles would get behind the wheel of the family car (invariably a Saab) and drive an hour each way on Sundays to pick us up from school and repeat the journey that same evening to deliver us back safely to school. This went on for five years, and all the while we never sensed that this was a burden, which undoubtedly it was, since no one enjoys driving four hours in one day or being away from their family over the weekend. This is just one small demonstration of the kindness offered by Gilles and his family. At this point I must mention Gilles’s first wife, who I got to know at this time, although for only a brief period due to her untimely death in a car accident in 1972. Gilles and Wilhelmina (Mina) Caruana were married on February 2, 1955. They had four children: Michael, Marisa, Robert and Anthony. My recollection of ‘Aunt’ Mina is of a supremely elegant woman: the Jacqueline Kennedy of Conyers Avenue. As history continued to repeat itself and I remained in the UK to read architecture at the University of Liverpool I got to know Gilles much better. He was always available for a friendly and reassuring chat, or better still, a swim and a sandwich at the university sports centre. Gilles became my academic mentor and role model. At both my graduation ceremonies he joined the academic procession in his impressive robes and chain of office as dean. Nowadays, every time I don my academic robes and join my university’s academic processions at the start and end of each semester, I recall Gilles with fondness. Gilles remained very attached to Malta, and in the 1970s acquired a property in St Paul’s Bay where the whole family would spend their summers. This location suited Gilles as he was a keen swimmer and remained so his whole life. In his will, Gilles requested that his ashes be scattered across St Paul’s Bay. Gilles subsequently married Dr Mejra Kacic Dimitri. She predeceased him in 2009. Gilles’ brother Michael and sister Gladys (another model of humility and selflessness to whom he was very close), both predeceased him. Gilles leaves three sons and a daughter – Michael, a senior vice president and partner at a Canadian insurance firm; Robert, a television journalist; Marisa, a rural health physician and an associate professor at the Western Australian Centre for Rural Health; and Anthony, a chartered legal executive advocate in Devon, and six grandchildren. A couple of years before my father passed away in 2011 our family gathered for a curry dinner to which Gilles was invited. The two elderly gentlemen, each priding themselves on being able to tolerate spicy food, ordered the hottest dishes available, not wishing to be ‘out-curried’ by their old adversaries. Pride was preserved, or rather endured, as they each struggled to clear their plates, neither willing to admit defeat; both survived the dinner; however, copious pints were consumed and much perspiration was mopped from beaded balding brows. Each claimed they had enjoyed their meal. The author is grateful to Robert Gilles for his assistance. Chris Grech is associate professor at the Catholic University of America, Washington DC.